Our application period is now closed. To stay updated on our next application period, please sign up for our mailing list. We’ve designed this program to give those with non-traditional software engineering backgrounds an opportunity to get their foot in the door and flex their coding chops with a goal of allowing them to start or re-start their career in engineering. The core qualification for the program is a passion for the job, ongoing drive and demonstrated ability to continuously learn and improve yourself. While individuals do need to have some programming skills coming into the program, the incoming level may vary. The program is designed to accommodate this as the length and role is dependent on the individual’s incoming skillset. Personal projects hosted on Github, etc. Our application process was designed to give individuals the opportunity to show us their drive, ability to learn, and passion for engineering. Therefore, as part of the application process, individuals are required to submit responses to the following three questions. There is not a length requirement or word limit for these questions. Please note, resumes and LinkedIn profiles will NOT be considered as part of the evaluation for REACH. Therefore, please make sure that any information you would like us to know, is highlighted in your application responses. At LinkedIn, we strive for a culture that embraces and represents diverse ways of thinking, background, and approaches to solving the world’s problems. We act as owners taking active and creative roles in solving the problems we encounter. 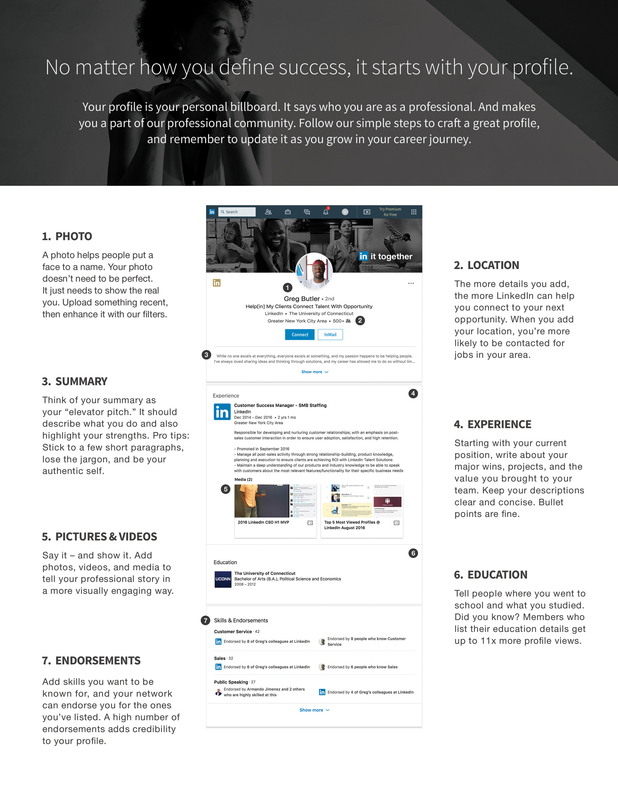 Tell us about you, and what unique point of view, experiences, and background you can bring to LinkedIn. We recognize that there are many paths to programming. Walk us through your unique journey. Tell us what sparked your interest in becoming a programmer, why you decided to explore that interest, and how you grew your skills independently or formally (consider personal projects, volunteer work, bootcamps, courses, or professional roles). Considering there is always an opportunity to develop programming skills, share how you plan to continue investing in your development (beyond applying to this program). Every engineer at LinkedIn writes code. Part of our evaluation process for this program is to understand your level of coding. This is your chance to show off - we want to see your coding awesomeness! Tell us about coding projects that you’ve completed in the past or are currently working on. You can share links to code you’ve written, a product or website you’ve built, an open source project you’ve contributed to, and/or your favorite problem that you’ve solved. In addition to your examples, please tell us about what specific contributions you’re proud of or what interesting challenges you faced. Note: We would really like to see your actual code, but if you can’t share a link to the code that you’ve written, please make sure to give us as much detail as you can about the project. Any media you’d like to include needs to link out with a URL (youtube, github, vimeo, etc). While LinkedIn profiles will not be reviewed in our hiring process, you will be required to have a LinkedIn profile when applying. In case you are new to LinkedIn or if you’d like some help in updating your profile, please visit this page or this video to see tips for creating a LinkedIn profile. All updates on REACH application periods will be shared with our Mailing List. If interested in receiving updates about the program, please sign up for the Mailing List here.